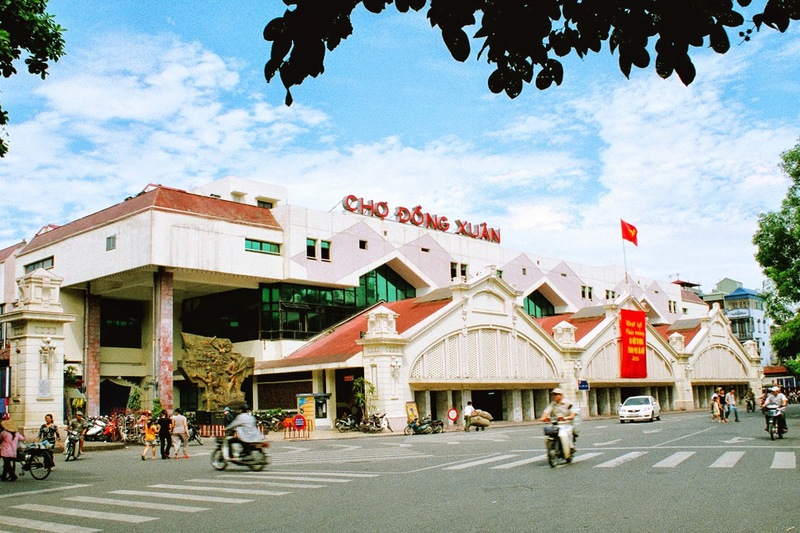 Old Hanoi residents gradually developed trade activities here because of its proximity to the river, which made it convenient for transportation of goods. Similar to most markets in Southeast Asia, Dong Xuan Market has a bustling wet market section on the ground floor, where locals shop for seafood, meat, and vegetables while the back section sells an array of pets (cats, dogs, and fish) and fresh flowers from all across Vietnam. 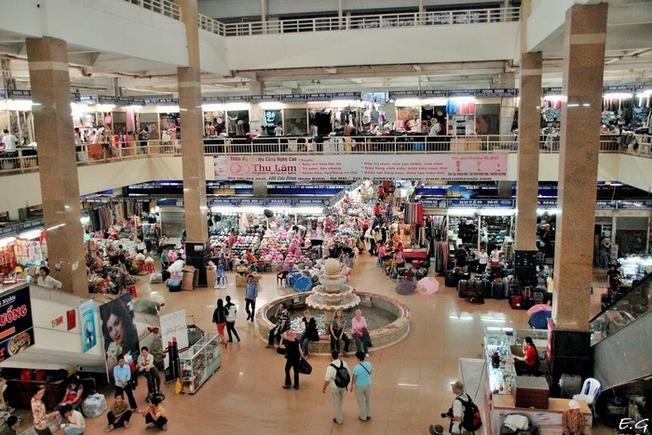 If you’re looking to shop for souvenirs, head to the upper levels, where you can find numerous stalls selling tee shirts, fabrics, school uniforms, handbags, handicrafts, all of which are sold at wholesale prices. But, what is more fascinating about this market is its historical significance which you still can experience if you visit this place. It witnessed fierce battle between the Vietnamese resistance units and the French. 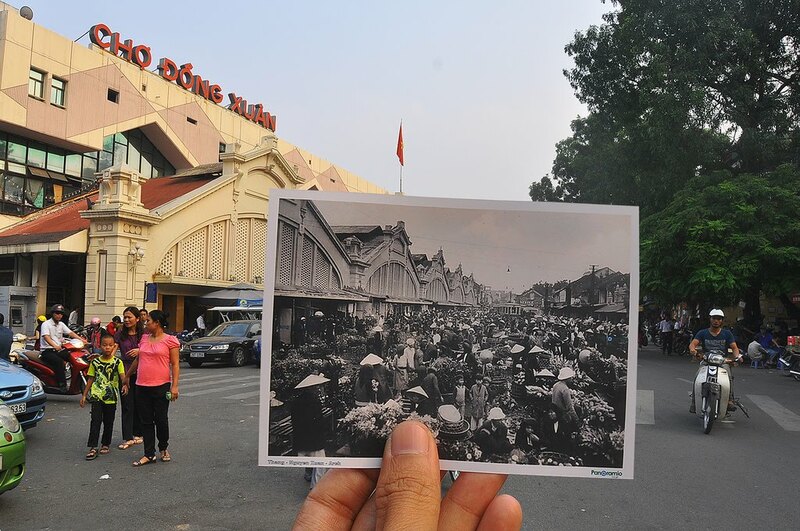 Dong Xuan Market is also a historical place where there was a combat of soldiers of “Quyết tử quân” (“Deciding to die”) against the French attack to the heroic zone I, in February 1947. 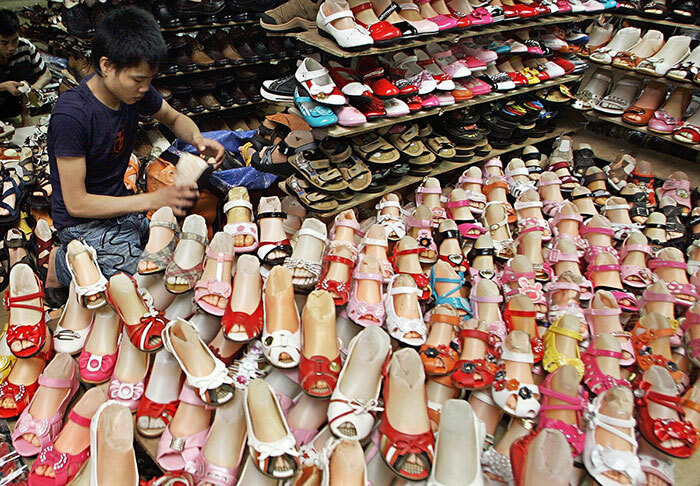 Being the biggest market and locating in the downtown, Dong Xuan Market is a crowded and bustling exchanging, tracsaction, business place of the capital. Unlike other Hanoi night markets selling agricultural products in Long Bien and Quang Ba, Dong Xuan Market has been mainly created for tourists. With its eleven stalls, the brightly-lit food zone is the most animated, serving late night guests until early morning. 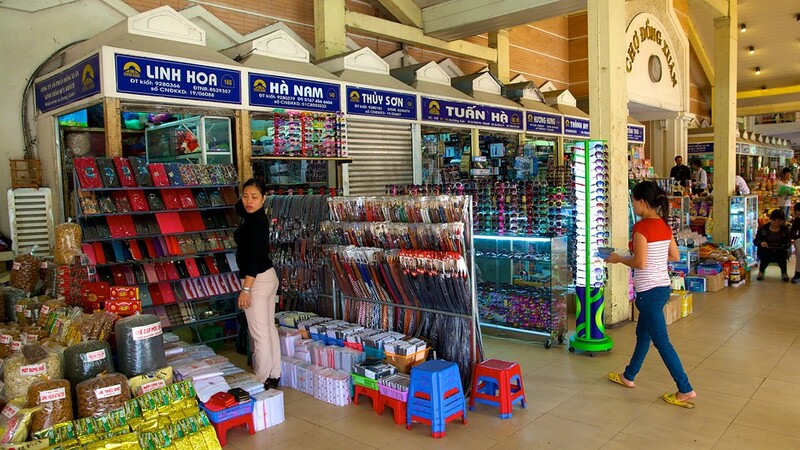 There are numerous kinds of goods and products selling in the market. The crowded and dense situation of Dong Xuan Market was highly praised in many old folk song of Hanoi. This large three-story market to the north of Hanoi's Old Quarter offers a varied cornucopia of goods of all sorts. Hundreds of stalls, with thousands of workers, trade extremely fresh produce, dried foods, household goods, appliances and more. The market has an interesting history. It saw fierce fighting between Vietnamese resistance units and the French. Later, in 1994, the market was destroyed in a fire that resulted in the death of five people and the loss of an estimated USD4.5 million in stock. 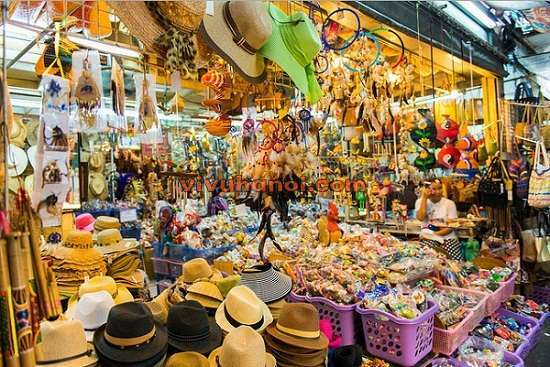 To advertise the image of Dong Xuan Market, creating favorable conditions for citizens to sell and buy products (consumer products and handicrafts), Dong Xuan JSC is now organizing to exploit tours at the market. Currently, Dong Xuan travel is now establishing tours to exploit potentials of tourism of the market to develop the tourism of culture, research for development of tourist products. From 2010 on wards, the company will build up Dong Xuan Market to archive the standards of tourist destination of the city; research development of services and accommodations of visitors. You might have your curiosity and appetite titillated as you try to choose from a wide selection of exotic Hanoi dishes: fried frog or fish meat pastes, rice and duck meat soup, fried rice, tiet canh (duck blood uncooked, only if you have a brave heart and strong stomach! ), rice vermicelli and beef cooked in the south Vietnamese style and even just beefsteak and bread. Here you can find real Hanoi food, as favored by true-blue Hanoians. The dishes might cost a little more than elsewhere but, you have to taste it to believe it, they are truly delicious, such as a steamy hot dish of pho cuon (beef wrapped in long wispy strips of rice vermicelli, served with aromatic herbs and spicy sweet-sour fish sauce). Do not forget to visit Dong Xuan Market when you visit Hanoi. It is really an ideal and exciting place to visit among attractions in Hanoi.